TOEFL Scoring chart that we provide here is only for PBT-TOEFL Test (Paper Based Test), not for CBT (Computer Based Test) or iBT (Internet Based Test). Below is image sample of TOEFL Scoring Chart for PBT-TOEFL Test. 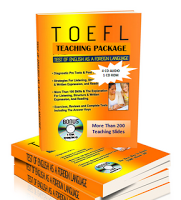 To get the complete TOEFL Scoring Chart, click here to download.